I would like to thank that author for an advanced review copy of this book in return for an honest review. I have often cried at books, because many books have a sad ending. I can't remember crying at the beginning of a book before, until now. The Idea of you has the most emotional, heart wrenching opening chapters that I have ever read in my life and they will stay with me always. I always go into an Amanda Prowse book knowing that I will come out the other end of it a bit of a blabbering emotional wreck, but The Idea of You is a whole other ballgame, because there is something in this story, and I can't out my finger on exactly what it is, that touched my heart in a way that no other book has. The Idea of You follows Lucy's story. 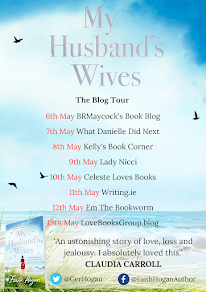 Lucy is on the brink of turning forty and for the first time in her life, she feels as though her life is working out the way she planned. She has a great job and a wonderful husband on Jonah. Add to that the fact that they have a baby on the way and Lucy's life is like something out a romantic Hollywood movie. But Lucy's dreams are cut short much too soon as she suffers from a tragic and heartbreaking early miscarriage and loses the baby that she wanted so much. Lucy wants more than anything to be a mother, but her dream seems to be moving further and further away from her grasp and soon Lucy feels like she is losing everything close to her, even her husband. Lucy knows that she has to make the right decisions in order to hold on to her family, but is she prepared to make them? 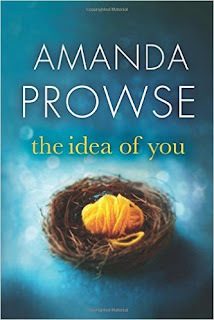 Amanda Prowse is an incredibly talented author, creating masterpiece after masterpiece and The Idea of You is no different. The story is so beautifully written and flows brilliantly. You can tell that blood, sweat and tears went into writing this novel, because there is such raw emotion hidden in the covers. This novel has highlighted the hard road some women have to travel in order to become mothers and it is heartbreaking to think about. Unfortunately, so many people will be able to identify with Lucy's pain and suffering or will know someone who has gone through it. Even though I don't have any children myself, I was still able to feel everyone of Lucy's ecstatic ups and heart wrenching downs and I cried every tear with her. Amanda Prowse is hands down the most talented author out there at the moment and she never fails to blow me away with her writing. She has touched the hearts of so many and it is so easy to see why she is loved by so many readers the world over. I adored everything about this book and the good news being a fan of Amanda's brings is that there is always a new book and a new reason to have my heart broken all over again is only around the corner. If I could give this book six stars I would, but the rating only goes as far as five, so that will have to do even though it is in no way doing the book justice.